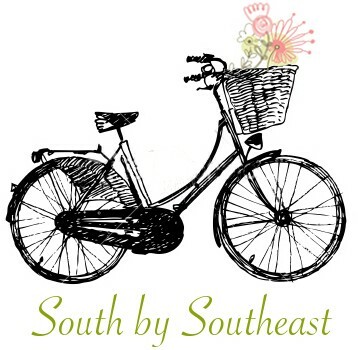 So with this post southbyse.com has reached its 100th post. Honestly I had hoped to hit this mark a few months ago but c’est la vie. After pondering a few ideas of what this milestone post should be, I decided to throw out all ideas and just go with a favorite recipe. I am a lover of all things lemony and lemon squares are one of my favorite recipes because they are both forgiving and easy – so easy a kid can make them with just a little assistance. It’s hard to screw them up in other words, and well, they just plain taste great. This recipe is an oldie from a fundraising cookbook from the “Medical University of SC Student’s Wives Organization” dated 1979 and given to me as a gift from one of the wives – I was 15. 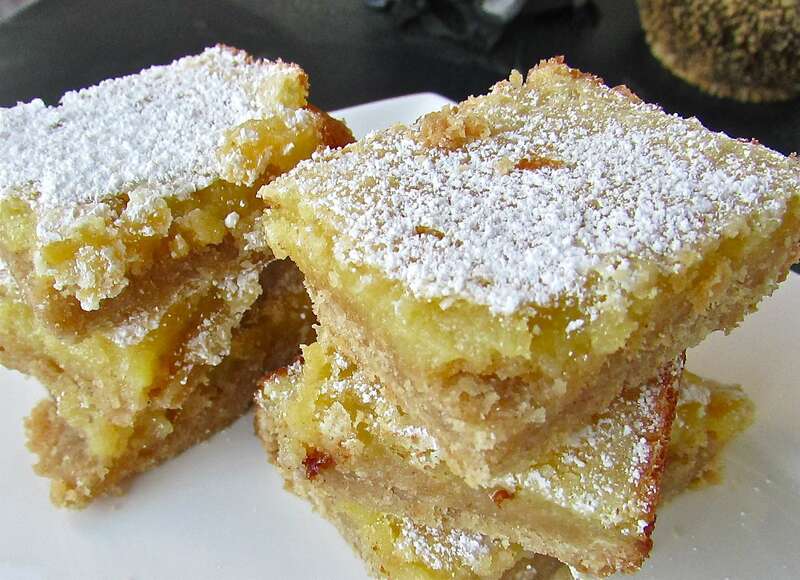 As antiquated as referring to the organization as a “wive’s” club is today, it does contain some really awesome recipes like pecan pick-ups, scalloped oysters, Sally Lunn bread and these lemon squares. One can use plain all-purpose flour, however, in this version I decided to include sorghum and white whole wheat flours in the shortbread crust. 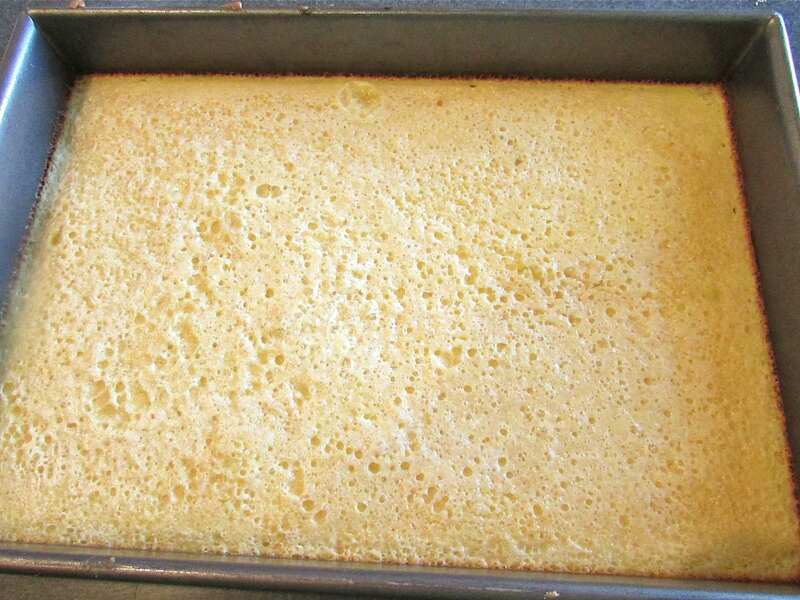 If your diet is gluten-free I’d think lemon squares could be a great dessert-fit, since you could easily substitute gluten-free flour (or a combination of gluten-free flours to make a substitute for all-purpose) and the rest of the recipe would follow along just fine. I simply added the sorghum to try it out, as luckily my family has no gluten issue. My only tips in making these is to not over bake, and slice after they have cooled – it’s easier that way. 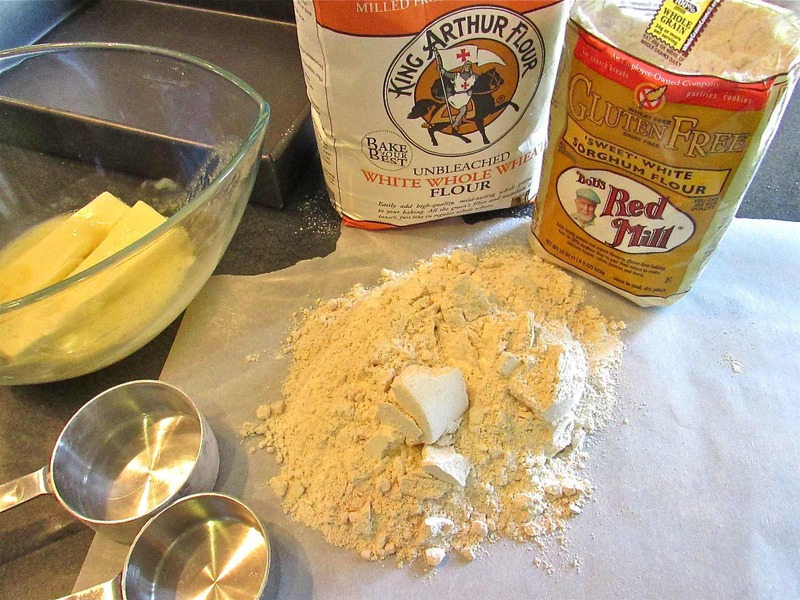 The shortbread crust ingredients – I used white whole wheat flour and sorghum flour. The shortbread was light and not dry with a rich (but not overwhelming) butter flavor. 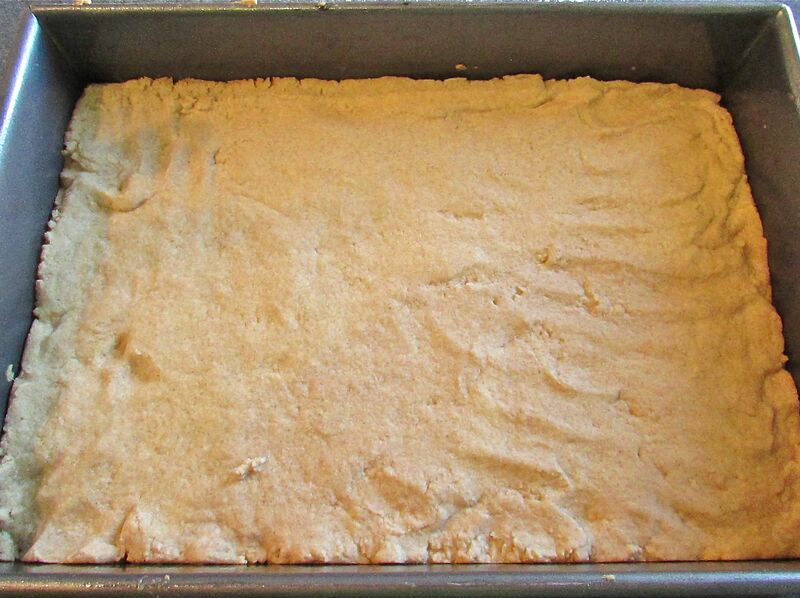 The shortbread crust goes together quickly – just press the dough into a 9 x 13 inch pan. Here is that same crust baked and ready for the filling. 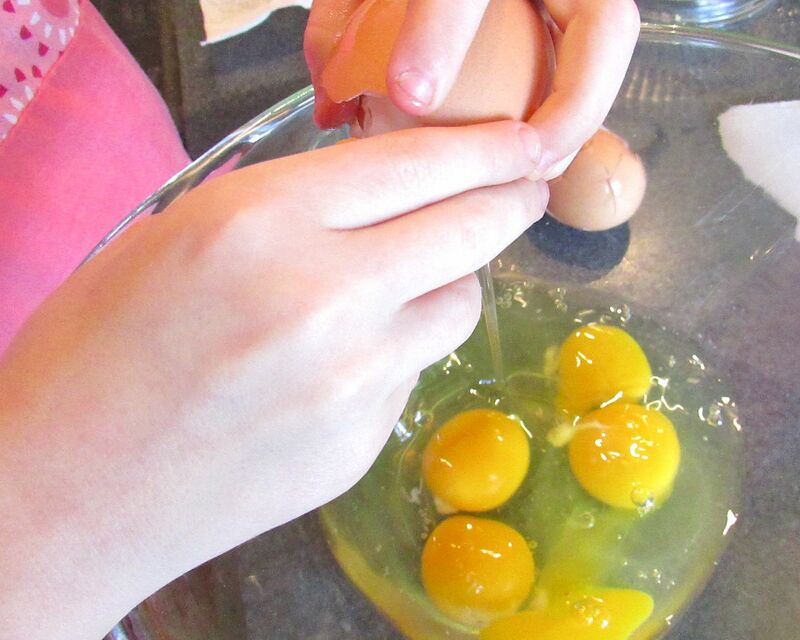 Girly Girl helped me with this recipe – she’s a master at cracking eggs now. Once you whisk the eggs some, just mix everything into the bowl. So easy. Here’s the fresh lemon juice and zest. I measured out a half cup of juice from the 2 large lemons I used. Pour the filling over the crust and bake in a preheated 350 degree oven 25 minutes. Here the pan of lemony goodness right out of the oven. 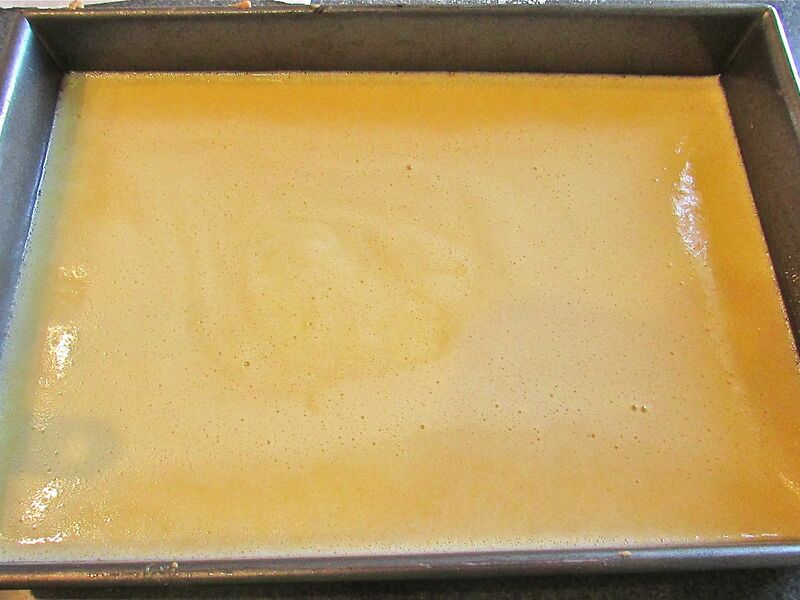 I’ll sprinkle with confectioner’s sugar, allow to cool and cut into squares. Preheat oven to 350 degrees. 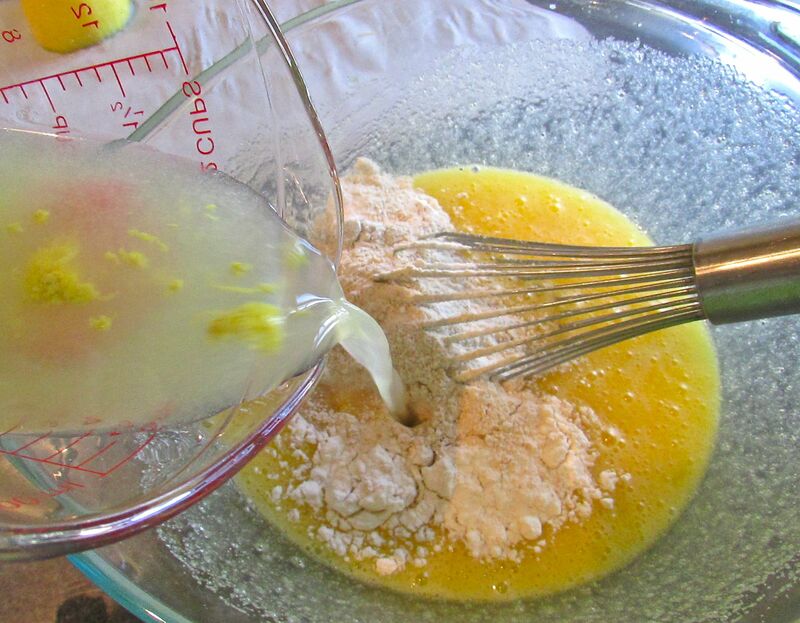 Mix the first 4 ingredients (except the extra confectioners sugar) in a mixing bowl. 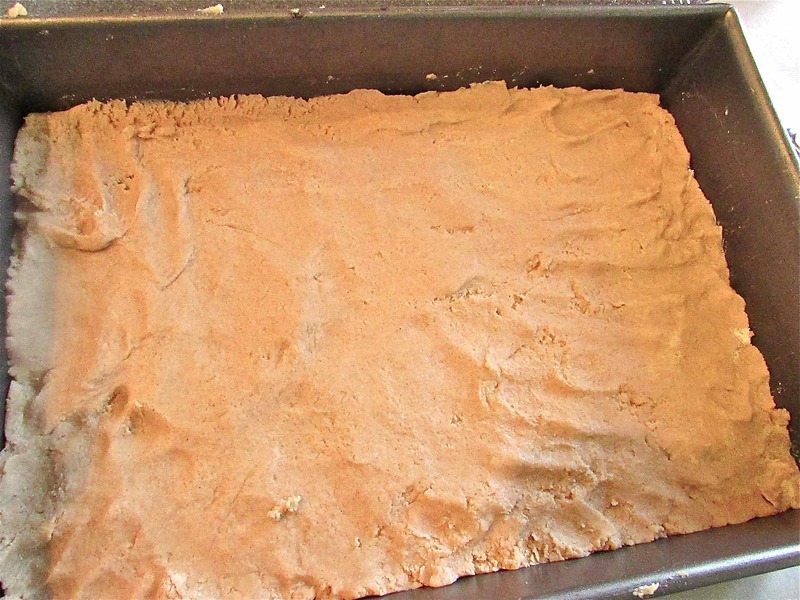 Press this dough into an oiled 10 x 13 baking pan. Bake for 20 minutes. Meanwhile, in a large mixing bowl whisk eggs lightly. In a separate bowl mix the sugar, flour and baking powder. 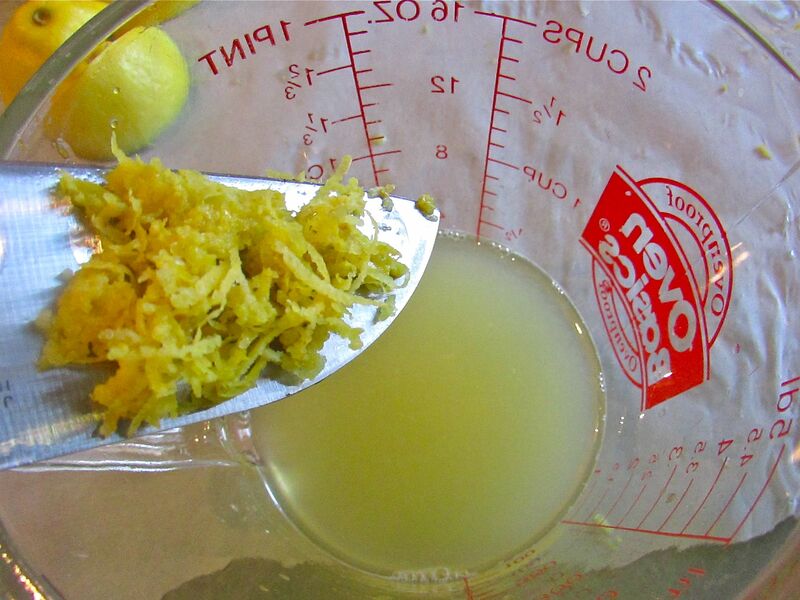 Add this to the eggs and mix until very well combined, then stir in the lemon juice and zest. Remove the shortbread from the oven and pour the lemon filling over the crust. Bake back in the preheated oven (350 degrees) for 25 minutes – until center has just cooked through – do not over bake! Remove to a rack to cool. Sprinkle with confectioners sugar while warm and slice into squares after completely cooled. 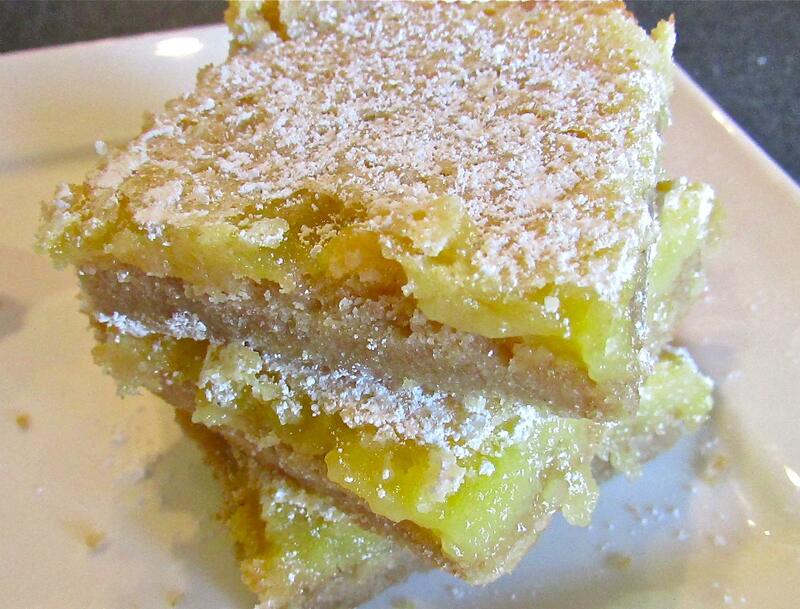 Makes approximately 30 lemon squares. * You can also use 2 cups of regular all-purpose flour or try a combination of flours to see what you like best. This is one recipe that is very forgiving. This entry was posted in Recipes and tagged 100th post, bake sale favorites, lemon desserts, lemon squares, southbyse.com, spring time recipes. Bookmark the permalink.